Nagore is a small little town in the coasts of Bay of Bengal. Famous for the Flying Fish locally known as Kola Meen is a sight to admire while at Good seashore area. Also famous for the Nagore Dargah which is a prime pilgrimage location for the Muslims, Nagore attracts many to this Dargah dedicated to Meeran Sahib Abdul Qadir Shahul Hamid Badshah. The shrine is admired for its architectural excellence also which has intricately designed Minarets and arches. 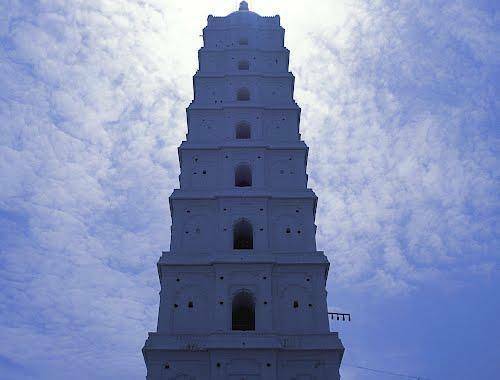 The tallest minaret known as the Periya Minara is 131 ft high. The water in the water tank at the Dargah has been associated with medicinal properties since long.